In light of a much-anticipated active hurricane season, we’re reminded that now is the time to prepare for the proverbial storm. There are many key facets to being financially prepared including knowing where you stand with regards to insurance, estate planning, taxes, cash management, investments and risk. We can help you prepare. As a continuation of our previous “We Keep Dancing” WJNotes, we discuss what to do to prepare in advance of any market downturn. First and foremost, it is important to review your objectives and your risk tolerance. Are you taking enough risk? Are you taking too much risk? Can you still achieve your goals by taking less risk? Control what you can control. Much as the saying goes, “all ships rise or fall with the tide”, it’s difficult to control exact return. However, it is possible to manage the level of risk you take in portfolios. In other words, it is possible to mitigate some of the downside when the tide goes out. Once that level of risk and benchmark is defined, it is our job to manage around that risk level, increasing or reducing risk in portfolios depending on the market environment. 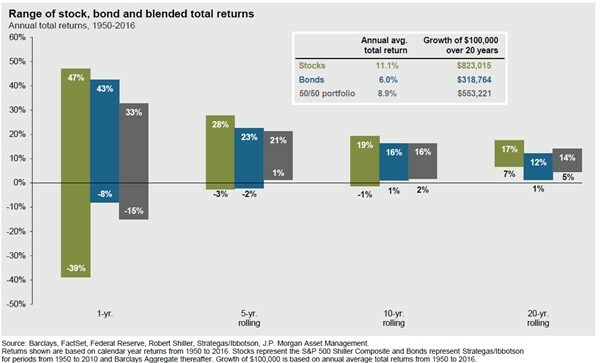 Our goal is to reduce the level at which portfolios go down should the tide go out while still participating in the upside. The key to successful investing is to have a plan and stick to it. If you have questions about your portfolio, please contact us.